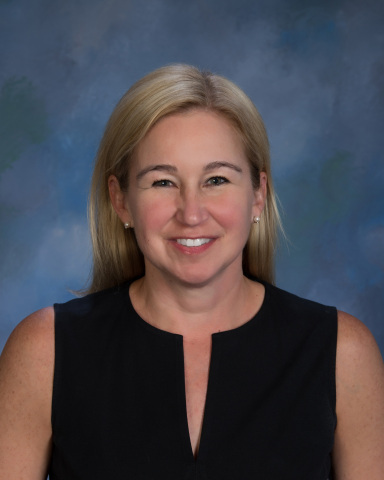 PITTSBURGH--(BUSINESS WIRE)--Carrie Havas, Vice President, Loan Operations, at Brentwood Bank in Bethel Park, Pennsylvania, has been presented with the 2018 Council’s Award from FHLBank Pittsburgh for excellence in community investment. Havas received the award at one of FHLBank’s regional member events. Kristina K. Williams, FHLBank’s Chief Operating Officer, spoke at the event about Havas’s community achievements before presenting her with the award. Havas has worked in the financial services field for more than 28 years, the last five at Brentwood Bank. In her position as Vice President, Loan Operations, and as Brentwood Bank’s CRA Officer, Havas has been extremely successful at creating effective partnerships in support of housing and community development activities throughout the markets Brentwood Bank serves. She has spearheaded Brentwood Bank’s use of FHLBank Pittsburgh’s Community Lending Program, Affordable Housing Program and First Front Door products. Havas has been a member of the Pittsburgh Community Reinvestment Group’s (PCRG’s) Community Bankers Collaborative Council and has been a volunteer credit counselor for Family Promise of Southwestern Pennsylvania. She has also volunteered for Rebuilding Together Pittsburgh, the Women’s Center & Shelter of Greater Pittsburgh, and Auberle. From 2015 to 2017, Havas participated in the Federal Reserve’s Policy Summit on Housing, Human Capital and Inequality. Named in recognition of FHLBank Pittsburgh’s Affordable Housing Advisory Council, FHLBank’s annual Council’s Award provides special recognition to an outstanding financial services professional who has demonstrated superior professional commitment and community spirit. The award highlights accomplishments and services in meeting FHLBank’s affordable housing and community investment mission. Founded more than 96 years ago and serving the Greater Pittsburgh area, Brentwood Bank operates four offices in Brentwood, Bethel Park and South Fayette. Brentwood Bank also has a mobile branch that takes the bank to customers in local independent living communities. Over the years, the bank has garnered a steady stream of community awards, including the 2017 President’s Award and 2016 Community Leadership Award, both presented by the Pennsylvania Association of Community Bankers. See more information at www.brentwoodbank.com. As an intermediary between global capital markets and local lenders, FHLBank Pittsburgh provides readily available liquidity, as well as affordable housing and community development opportunities, to member financial institutions of all sizes in Delaware, Pennsylvania and West Virginia. The Bank is one of 11 banks in the Federal Home Loan Bank System, which was established by Congress in 1932 and serves as a reliable source of funds for housing, jobs and economic growth in all economic cycles. To learn more, visit www.fhlb-pgh.com. Carrie Havas at Brentwood Bank received the 2018 Council’s Award from FHLBank Pittsburgh for excellence in community investment.